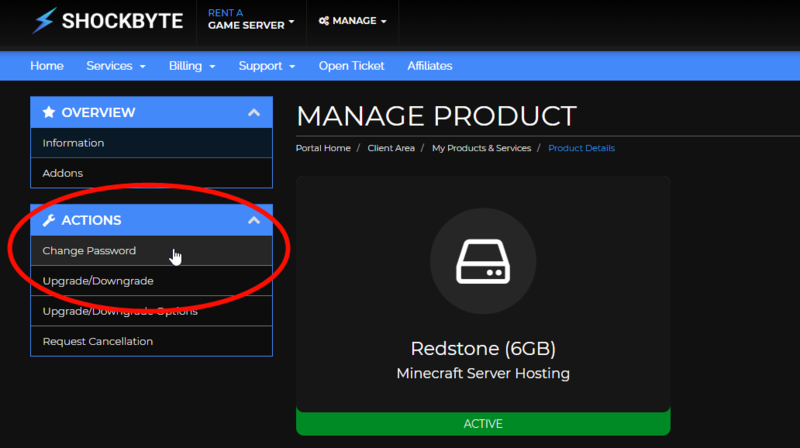 You can reset your Multicraft password in the client area by navigating to Services > My Services > Select a service > Change Password (under "Actions"). The steps below will detail this process. Select 'Services' under the navigation bar, and then 'My Services'. Select one of your active Minecraft services. Select 'Change Password' on the left hand side under the 'Actions' sidebar. Enter your new password and save the changes.